Ten days have past and we now reach the business part of the tournament. The quarter finalist have been chosen, the field is getting smaller and the competition is getting tougher. Tennis fans are in for a treat today with three quarter final matches and a fourth round match which will conclude today. The match stands at two sets all at 4-6 4-6 6-3 6-2. The deciding set will be played today which will determine the final quarterfinalist of the mens draw. 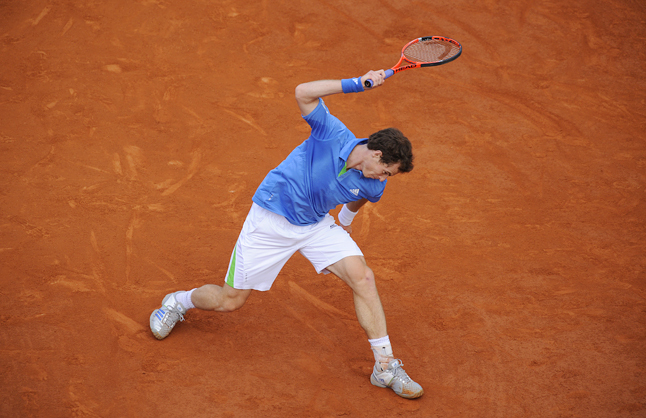 Murray has fought a spectacular comeback against the number fifteenth seed Troicki. Andy has played through the right ankle injury which prevented him to play his best tennis and in turn, losing the first two sets. Troicki lead a break in the third set which saw the likelihood of Murray’s departure more likely than ever. However, he fought through and found himself playing the shots he’s renowned for. He equaled the match at two sets all when the match was suspended. The two men would have to wait another day to continue there match. 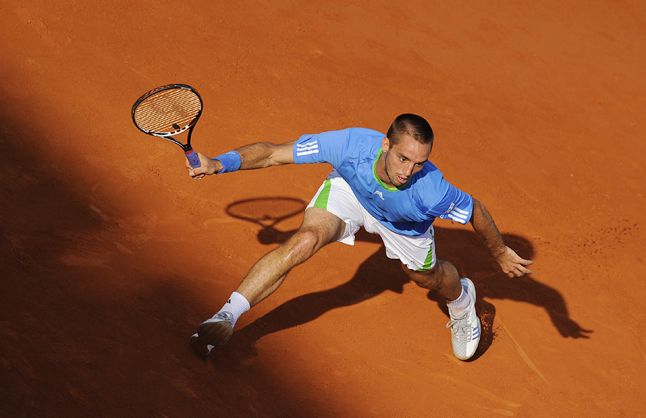 Troicki fighting for his first quarter final. Murray should win this match due to the extra confidence of winning those last two sets and extra recovery time for his ankle. Judging on the past few days, it seems delayed matches have been a current trend. 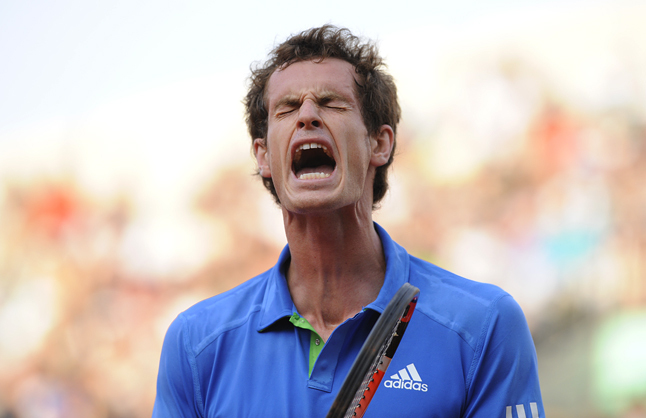 It started off with Djokovic Vs Del Potro, then we had Monfils Vs Ferrer and now we have Murray Vs Troicki. The question is, should scheduling be fixed to assure all matches finish before dark? With the exception of the Isner Vs Mahut which was something else. Also maybe Roland Garros should actually apply light in the stadium so matches can finish at night. The match which will determine the semi final opponent of Novak Djokovic. Federer comes in this match after playing a great first week and still yet to drop a set. Monfils comes in after winning a marathon match the day before against David Ferrer. 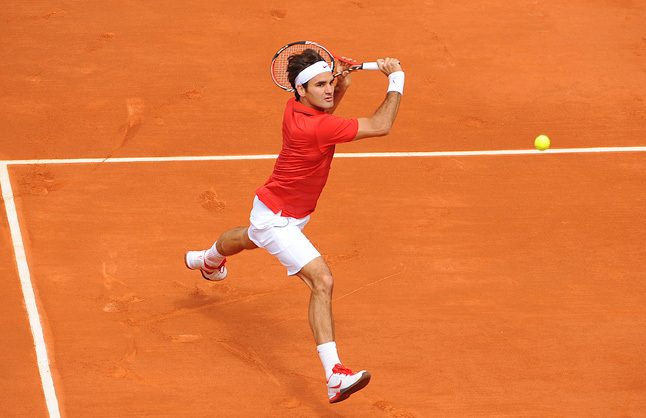 Federer has the advantage physically and mentally in this match, even with a victory against Monfils in the French open in 2008 and 2009. 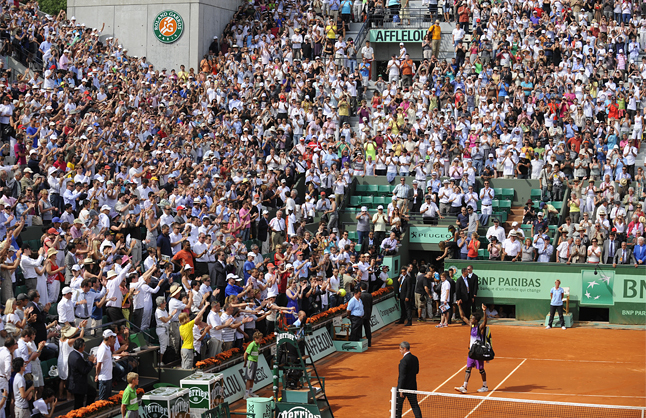 The crowd will be behind Monfils today, however I believe they’ll show respect towards Federer in this match. The crowd all on their feet for Monfils. I predict Federer in straight sets once again, though i’ll support Monfils. Federer will be a tough match up for Djokovic, especially with Djokovic fighting for equalling history. Pavlyuchenkova has finally made her breakthrough in a grand slam after shocking number 3 seed Vera Zvonereva in the previous round. The teenager faces the veteran Schiavone who beat Jankovic in the thrilling sets. Both women will fight for each point and attempt to out hit the other. Schiavone is likely to have the edge due to her grand slam experience, her current form and the possible support she’ll have from the crowd. I predict Schiavone in two sets. Schiavone celebrates victory against Jankovic. Many bets have predicted a Wozniacki and Stosur quarter. However, these two have taken advantage of their upsets. Bartoli has been a crowd favourite in the tournament. The question is, how does she use this support today against her opponent. Kuznetsova will be facing off against Bartoli with the confidence of winning the tournament in 2009. Although the crowd will be behind Bartoli, my prediction is that Kuznetsova will make quick work with the French woman in two sets and set up a possible encounter with Schiavone. 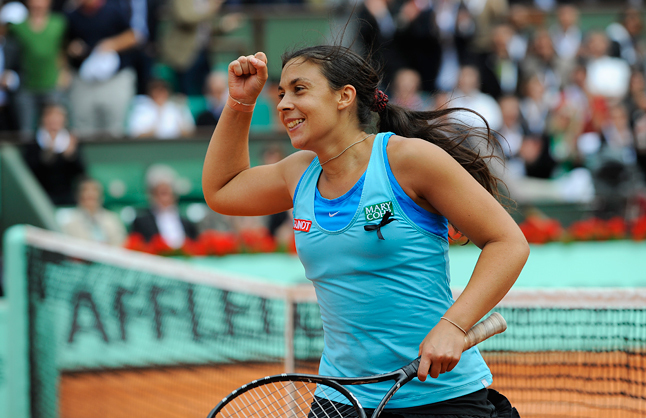 Marion Bartoli is the last french woman left in the french open.